Three Cheers for American Restaurant Winners Named in The Wine Enthusiast’s America’s 100 Best Wine Restaurants of 2016 list. The restaurants on the newly released list were diverse – from Otium’s foie gras funnel cake to Maple and Ash’s classic steak and potatoes. Newly revamped steakhouses made the cut. Classics stood the test of time. Excelling in classic, excellent by the glass program, standout tasting menu experience categories and more, BinWise partner restaurants shine in the world of wine and dine….And the winners in the following categories are….. Owner and wine director Ryan Fletter is proud to feature small family wineries that are dedicated to Earth-friendly farming and winemaking philosophies. Denver’s award winning restaurant features authentic Northern Italian dishes and staff wine education tours to the amazing producers of Barolo and Barbaresco, Chianti Classico, Brunello di Montalcino and Vino Nobile di Montepulciano, all highly regarded Tuscan producers. From the menu: “For nearly seven decades, Brennan’s has charmed the palates and hearts of patrons with its splendid ambiance, impeccable service and authentic Creole cuisine.” Brennan’s was also recently honored when Titus Perkins, executive kitchen manager and 20 year veteran of the Ralph Brennan Restaurant group team, received the 2016 “Faces of Diversity” Award from the National Restaurant Association Educational Foundation. The Faces of Diversity program promotes the importance of diversity and inclusion and raises awareness about the important role restaurants play in providing a ladder of opportunity for millions of Americans. Frasca is the creation of Master Sommelier Bobby Stuckey and Chef Lachlan Mackinnon-Patterson. Their shared passion for Friulano- Venezia cuisine and fine wine is reflected in the exquisitely prepared fare and a comprehensive wine list boasting over 200 varieties. Frasca Food and Wine accepts reservations two months prior to the calendar date for good reasons, bringing Classic Venetian fare to Boulder creates, we couldn’t resist, in the words of John Denver, “rocky mountain high, Colorado” for you palate. This Willamette Valley restaurant in the heart of Oregon’s famed Pinot Noir country Chehalem Valley AVA is located at the award-winning luxury Allison hotel. The aptly named restaurant takes it name from the red volcanic Jory soil which was recently named “Oregon’s official state dirt.” Chef Sunny Jin expertly pairs wine and local food combinations grown in the deep red, well-drained soil. Jin completed his externship at Napa Valley’s famed French Laundry, working for three years under renowned chefs Thomas Keller and Corey Lee. “For me, food is about memories, feelings, emotions, and so is Le Bernardin, and that’s why it’s not just a restaurant,” said Chef Eric Ripert, who was born in Antibes, France. Ripert and co-owners employ a skilled team, including wine director Aldo Sohm, to deliver magnificent classic French cuisine. In 1995, at just 29 years old, Ripert earned a four-star rating from the New York Times. Over 15 years later and for the fifth consecutive time, Le Bernardin again earned the New York Times’ highest rating of four stars, becoming the only restaurant to maintain this superior status for this length of time, without ever dropping a star. In 1997 chef/owner Josiah Citrin’s was named one of the “Top Ten Best New Chefs” by Food and Wine Magazine and has been acquiring awards, producing cookbooks and appearing on highly acclaimed foodie television shows ever since. The chic French-New American restaurant, known for its season-driven prix fixe menus, is located in the perpetually hip Santa Monica neighborhood of sunny Southern California on upscale Wilshire Boulevard. Enjoy Truffle Risotto or Salmon fresh from the Pacific Ocean paired with a glass of California Chardonnay and experience the bliss that is Melisse. On the Napa Valley famed restaurant website is the following: “Just as a chef is inspired by their natural surroundings, resources and people, so too is a sommelier. Blessed with such proximity to America’s most celebrated vintners and growers, our wine team strives to embrace the values inherent in this community.” The restaurant, led by Chef Christopher Kostow and Restaurant Director Nathaniel Dorn, is located in the epicenter of the American wine industry and reflects its location on the menu – from wine list titles like “Napa Valley & Our Nearby Neighbors” to “Our Friends from Around The World.” This satellite in locally-sourced food and wine is a culinary masterpiece. DEAR NEW YORK, “This is a love letter to you and how you brought us together. Only in a city as electric as this could we bring you a place as eclectic as this,” – Beastie Boys 2005. The quote is on the website for a good reason. Their food is “Italian influenced, American executed and entirely New York. Just like you, we dream of ditching work to sip rose’ in the park and of hot summer nights all year long. We hope you’ll come and be a part of what we are – a place to celebrate life with what we know best – food and drink.” ‘Nuff said. Home of the Foie Gras funnel cake, the Otium is an innovative restaurant that draws from the rich culinary heritage of Chef Timothy Hollingsworth. Located inside The Broad, a new contemporary art museum in downtown Los Angeles, it is designed with an open kitchen merging indoor and outdoor spaces. Otium,is a Latin word that is meant to emphasize a place where time can be spent on leisurely social activities. Enjoy a menu based on “elegant rusticity” – dishes are cooked on a wood fire with sustainable ingredients grown in the garden of the restaurant’s mezzanine. Chef Neal Fraser’s modern American cuisine highlights the multi-cultural influences of his native city – Los Angeles. Fraser’s menu features seasonal dishes ranging from snacks or “kickshaws” to entrees meant to be enjoyed by the whole table. Sommelier Ben Teig’s wine list is eclectic with a focus on Burgundy, Bordeaux, and California, and dedicated to aged and affordable wines. Fraser and his wife Amy Knoll Fraser also operate BLD, Vibiana,ICDC and Fritzi Dog. He has also been featured on Bravo TV’s “Top Chef Masters“ and Food Network’s “Iron Chef America”. Walter Manzke’s love of food began as a child growing up in San Diego surrounded by fruits and vegetables from his family’s backyard. This seasonable, sustainable approach has stuck with Manzke throughout his career. Appropriately in the “Not to be missed” category in star-studded LA, The building that houses République was in 1928 by silver screen legend Charlie Chaplin. This innovative Bay Area superstar is owned by partners David Kimball Anderson, Eric Wolfinger, Manresa Bread and Tom Killion. The restaurant focuses on the chef David Kinch’s who has revolutionized the Northern California restaurant culture with his take on locally-sourced food and focus on West Coast Wines. His 2013 cookbook, “Manresa, An Edible Reflection” reflects his passion for the Santa Cruz Mountains and the Pacific Ocean. 1953 – 5,500,000 gallons of wine are produced in the Napa Valley. 1963 – 500,000 people visit Napa Valley wineries. Yountville and Napa are invigorated by vineyard and winery growth throughout the 1960s. 1967 – With a group of friends, town mayor Don and his wife Sally Schmitt purchase a vintage 1870 stone farmhouse and renovate it into a restaurant. Don and Sally bring the first espresso machine to Napa Valley. “PRESS Restaurant celebrates the famous red wines of the Napa Valley with the finest prime dry-aged beef grilled over almond and cherry wood, wood-fired rotisserie chicken, and locally raised lamb and pork. Daily selections of fresh fish and seafood provide equally high notes for white wine lovers” is featured at the top of the menu. The bucolic vineyard setting is enhanced with indoor/outdoor seating, large fireplaces and a hand-crafted walnut bar showcasing extensive Napa Valley-only wine collection. Sommeliers Kelli White, who is also a wine journalist, and Scott Brenner relocated from New York City to experience the West Coast wine culture. Owner Leslie Rudd also founded and operates Oakville Estate Winery. Congratulations to our partner winners recently named in the Top 50 Best Restaurants in the World List! Nearly a dozen of the 100 restaurants (four in the top 50) honored in the annual star-studded list are BinWise customers leveraging our platform to control and optimize their stellar wine programs. Each restaurant on the list was chosen for delivering the best of the best in wildly divergent styles from New York City to San Francisco Bay. “Creative fine dining in the Big Apple with hospitality at its heart” #3 Eleven Madison Park showcases a 195 page wine list. Co-owners Daniel Humm and chef Will Guidara met a decade ago when they were set up on a professional ‘blind date’ by legendary restaurateur Danny Meyer of Union Square Hospitality Group. In Chicago #15 Alinea – “a new train of thought” – offers a cutting edge culinary experience in three different settings; the kitchen, gallery and salon. Alinea was created by restaurateur Nick Kokonas and business partner Chef Grant Achatz, who was named the “one of the best new chefs in America” by Food and Wine. #24 Le Bernardin’s wine program is overseen by Wine Director Aldo Sohm. His focus is on finding those perfect pairings that complement the elegant yet soulful cuisine of Chef Eric Ripert. In his San Francisco Mission District location, #27 Saison Chef Joshua Skenes menu features premier seabass, caviar and lobster. He often creates twenty courses and his restaurant accolades include three Michelin stars. All from a self-starter who once rode the bus to work and started his restaurant as a pop up. It’s apparent from the list, it’s not about how many stars each restaurant has – it’s about how they each shine in the world of food and wine. Cheers to our partner’s accomplishments! This creative, skilled food and beverage pairing philosophy is interspersed throughout the USHG dynasty. “We change our list often, so don’t despair if you come visit and don’t see the one you had in mind—we will pour you something equally intriguing and delicious”. Incidentally, the “she” behind the “we” in this case is beverage director Juliette Pope. Danny Meyer founded first restaurant, Union Square Cafe, when he was 27 years old. Fueled by a passion for food, wine and hospitality, he kept going. His mantra, combined with service with a smile, spawned spectacular success. In a recent Inc. magazine interview, Meyer mused about his first year and buying too much wine. Now with the assistance of Master Sommelier John Ragan running the wine program, all USHG restaurants uses BinWise, so keeping track of inventory is a streamlined process instead of a tedious guessing game. His focus in 1985: customer satisfaction. His focus in 2016: customer satisfaction (still). And what satisfies customers? Customizing the dining experience through meticulous attention to detail. An integral part of attention to detail, the BinWise platform assists the USHG in creating that perfect pairing every time. “The on-demand reporting that BinWise provides across all our locations help me keep organized”, says John Ragan, Director of Wine and Restaurant Operations. BinWise: “The Business Behind the Wine Business”, proudly assisting in the ongoing success of our award-winning partner restaurants. For more BinWise blog food and wine pairings, see BinWise proves the Perfect Pairing for World’s Best Steakhouse – Carnevino, rated “one of the top ten steakhouses in the world” by Mens Journal. Over the last decade, a new breed of authentic, regionally focused Italian restaurants has emerged, featuring fresh and seasonal ingredients. Gone are the red and white checkered tables, jugs of raffia-wrapped Chianti and red-sauce heavy menus, now replaced with prix fixe menus paired with wine flights that rival that of a French dining experience. Congratulations to the winners named on MSN’s America’s 50 Top Italian Restaurants list–7 of the top 10 of whom are BinWise customers! Using BinWise to manage their wine program, wine directors are working with their culinary counterparts to offer their customers an amazing authentic Italian dining experience. The perfect pairing for a slab of beautiful aged meat is a red wine with depth and character. Men’s Journal tip their hat to Mario Batali and Joe Bastianich’s Las Vegas paean to the art of meat and wine, rating it amongst the best Steakhouses in the world. We’re proud to count Carnevino amongst the number of award-winning partner restaurants, whose wine-programs we assist in being more successful. Whether it’s a glass of Champagne, a glass of something different to wind down the day, or a delicious bottle, looking for a screaming deal in New York? Look no further than the Eater’s NYC 17 Best Wine Deals, half of who’s wine programs are managed on the BinWise platform. We’re proud to provide the tool that allow these prodigiously talented Sommeliers to optimize their wine program and be able to share great wines that they love with their customers at such a great price. The Wine Spectator Restaurant Awards Program has been honoring the world’s best wine programs since 1981. Grand Award winners generally offer 1,000 or more selections, with superior breadth and depth across all of the world’s wine-producing regions. BinWise is delighted that a third of the 2015 Grand Award winners in America are partnering with us to manage their wine programs. When your program spans such a grand volume, it becomes doubly critical to effectively manage all aspects of your program as efficiently and with as much insight as possible. BinWise, supports your art through our science. 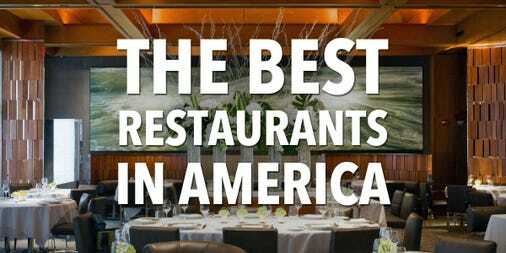 Our congratulations to those who made the Business Insider’s Best Restaurants in America. Running a restaurant is a challenging balance of the best of food, wine and stellar service–and those that made the cut in Business Insider’s list certainly deserve the accolades. A third of these restaurants are BinWise partners, including the top four who topped Business Insider’s list. We’re proud to provide the tools that help these award-winning restaurants be successful and we’ll continue working our hardest to assist in your success!